Think about it, if only for 5 minutes today, the fact that there are people that have sacrificed their lives. Forget the portrayals of these men that have been reported, just forget the spin that has been put forth. They share a common ground with many soldiers before them: they are no longer among us and we live more comfortable lives because of it. We can sit in the comforts of our own homes and type away on our computers, watch TV, go to movies, and generally have a say in whatever we want to do, at any time. Freedom, it's a beautiful thing that maybe we all take for granted at some point in time or another. 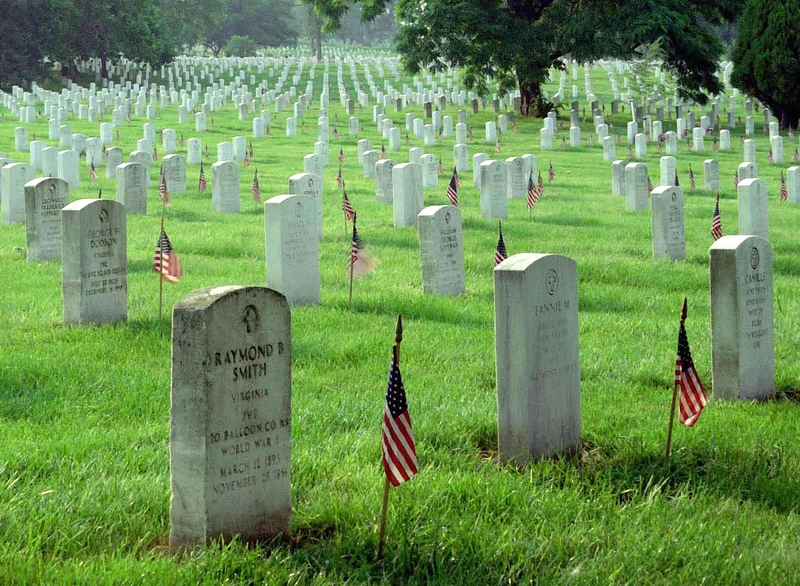 I urge everyone to take time to think about what "Freedom" means and what the cost is. I think about it everyday. In the past year I learned that one of my grandmothers was one of the first women in the U.S.M.C. At her funeral, I was doing reasonably well and keeping it together.....until "Taps" was played. There is nothing quite like that feeling in the gut when that song is used appropriately. One of my friends' husband is back from Military Assignment, and I trust is due to go back before too long. I have learned that one of my best friends MAY be going to Afghanistan. He just came back from a volunteer assignment in Iraq less than a year ago. Last, but certainly not least, my son, Brandon, has set forth his plan to go into the Army in the Fall. You can only imagine the bittersweet pride that will be going through my head today. While you sit back and enjoy your day today with your families and your friends, think about those who have sacrificed so you can do just that. When you jump onto the computer to use Twitter, Facebook or whatever you feel like doing today, just remember, someone has paid the ultimate price for you to do that. Take time today to say "Thank You" to those that you know who serve currently, and take time to pay respects to those who have sacrificed.